Just the TXT Please | JONAH BRUCKER-COHEN, PH.D. Just the TXT Please – JONAH BRUCKER-COHEN, PH.D. 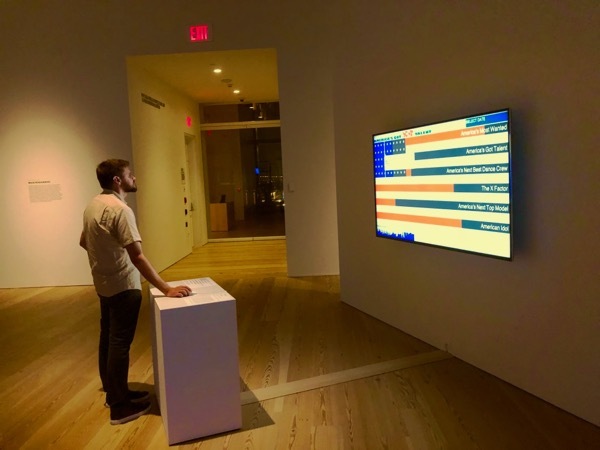 Recent Parsons School of Design grad, Paul Notzold’s “Textual Healing” project examines the public use of text (or SMS) messaging by allowing people to send texts to projected speech bubbles on building facades. From his description: “Using ‘always on’ technology, cell phones with SMS messaging allow an audience to interact with large speech bubbles projected onto a flat surface, like the facade of a building. The bubbles are positioned near windows and doors to encourage an audience to create the conversations happening inside. The audience receives a flyer with the number and simple instructions. A participant sends a text message to the provided phone number and it is then displayed inside the speech bubble. Multiple bubbles may be used and the audience can direct their input to a specific bubble.” I like the idea of connecting the public to the private space of an apartment building or office and allow people on the street to “create” the conversations that might be occurring inside the buildings. This project also reminds me of “Speakers Corner”, a scrolling LED sign in Huddersfield, UK that allowed people to send SMS messages to it from their phones. We’ll probably see a lot more of these public SMS displays in the near future. . .